SURIGAO CITY - A suspected member of the New People’s Army rebel group was killed while authorities are on a rescue mission of three policemen and a non-uniformed personnel who were abducted last week at a village in Surigao del Norte province. 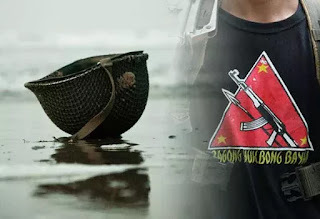 Reports from Surigao del Norte Police reaching the regional police headquarters here said police and military were conducting joint pursuit operations in Barangays San Isidro, Binucaran and Cagtinae in San Francisco town when they encountered about 15 armed men at Binucaran around 8 a.m. Monday. A 20-minute firefight ensued that led to the death of a certain Junard Quinto Casoy, 37. His cohorts fled to an unknown direction, the report said. Recovered were an AK-47 rifle believed to be used by Casoy, five magazines, two improvised explosive device (IEDs) and some gallons of rice. Police said Casoy has two pending warrants of arrest for charges of qualified theft and reckless imprudence resulting to physical injuries. Additional troops were deployed in the area to support the search and rescue operations and to pursue the abductors.